Clean up our mess, when we are done. 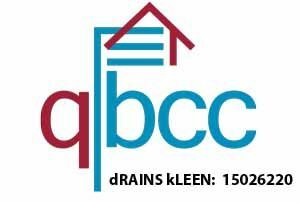 What drain services do dRAINS kLEEN offer? We are Licenced and experienced plumbers, so we understand drain layout and what it takes to keep your drains in good working order. Broken pipes? dRAINS kLEEN can eliminate the need to excavate, saving you time and money when we combine our multiple drain services, with knowledge, expertise, and equipment to correctly install no-dig patch relines. dRAINS kLEEN clears BLOCKED DRAINS as quickly and efficiently as possible : We use high pressure, hydro drain jetting equipment with various jetting nozzles (different blockages require different jett heads) for blocked drain cleaning to remove any drain blockages, in and around your home or business. 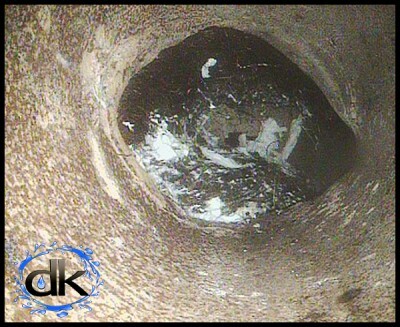 With CCTV drain inspection cameras, we capture real time colour video footage and images from within your drain, if requested we can take a recording which can be emailed, burnt to DVD or saved onto a USB for viewing later. These cameras allow us to diagnose problems and provide solutions, preventing future blockages from occuring. Therefore we can confidently discuss a remedy to FIX the problem for the long term. Electronic locating devices work together with CCTV drain cameras to accurately pin point where issues are occurring and trace where your drains run. 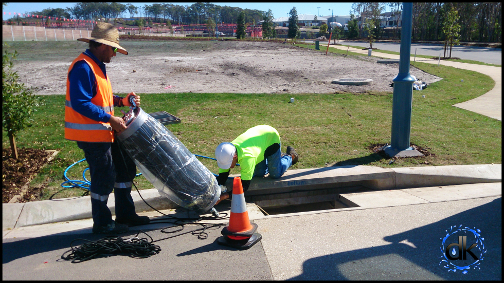 Should we find any issues within you drains that require, more than a jett clean, further drain repairs may be necessary, so we can discuss the problem with you in detail and you can choose if you would like us to dig-up and complete the repair, or you may wish to do it yourself (if you are that way inclined). In some situtions access may be difficult and that is where patch drain relining comes into play, it is NOT for just any broken drain and we would only suggest it if it were your BEST option. Civil & Domestic Drain Relining. Plumbers – Call us because they don’t have the time or the equipment to deal with blocked drains or broken pipes. Local Trades, Property Managers, Construction Companies- Call us because, they appreciate our reliability, know we will do the job right the first time and know we will reflect well on their business. Home, Business Owners – Call us because they have already used us before or we had been recommended to them by a relative, friend, neighbour or colleague. Some just found our website, liked what they saw, made the call and found everything was black and white- there are no hidden costs and we REALLY DO know what we are doing. When can we attend to your drains? Call us and we will always do our best to fit you in at a time that best suits you. Live in Brisbane, Ipswich, Gold Coast, Sunshine Coast, Gympie or anywhere in between? We offer these Drain services – Plumbers / Blocked drain cleaning / CCTV Drain Surveys and pipe inspections / Drain repairs – at all of the locations listed below and more…. Albion – Alderley – Ascot – Aspley – Bald Hills – Banyo – Boondall – Bracken Ridge – Bridgeman Downs – Brighton – Brisbane Airport – Carseldine – Chermside – Chermside West – Clayfield – Deagon – Eagle Farm – Everton Park – Fitzgibbon – Gaythorne –Geebung – Gordon Park – Grange – Hamilton – Hendra – Kedron – Keperra – Lutwyche – McDowall – Mitchelton – Myrtletown – Newmarket – Northgate – Nudgee – Nudgee Beach – Nundah – Pinkenba – Sandgate – Shorncliffe – Stafford – Stafford Heights –Taigum – Virginia – Wavell Heights – Wilston – Windsor – Wooloowin – Zillmere – Bowen Hills – Brisbane – East Brisbane – Fortitude Valley – Herston – Highgate Hill – Kangaroo Point – Kelvin Grove – New Farm – Newstead – Paddington – Petrie Terrace – Red Hill – South Brisbane – Spring Hill – Teneriffe – West End – Woolloongabba – Anstead – Ashgrove – Auchenflower – Bardon – Bellbowrie – Brookfield – Chapel Hill –– Enoggera – Ferny Grove – Balmoral – Belmont – Bulimba – Camp Hill – Cannon Hill – Manly West – Morningside – Murarrie – Norman Park – Port of Brisbane – Ransome – Seven Hills – Tingalpa – Wakerley – Wynnum – Wynnum West AND Many more places!